I returned home a few days ago from South-East Asia. Again you are fascinated by the fact that in 20 hours you you can travel almost half around the globe... from tropic climate to snow and cold... from rice fields and banana trees to frost in the grund. It was time for IPMI, module 4. To my help I had two local workers who were teaching how to reach our cousins and how to start new works. 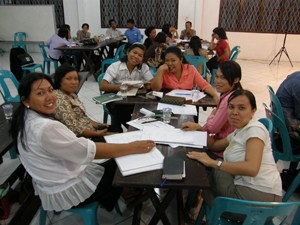 I taught on the subject: The New Testament Church. My grandfathers book with the same title had been translated and printed and was distributed to the students in all three places, totally around 80. 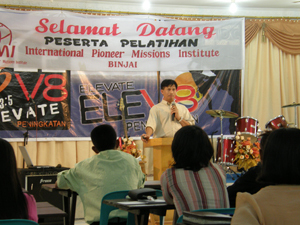 It was a wonderful time as we could see the hunger and boldness among the students. We pray that they will bear much fruit!